June will be the final month of Mark Brooks’ leadership at Pilgrim School. 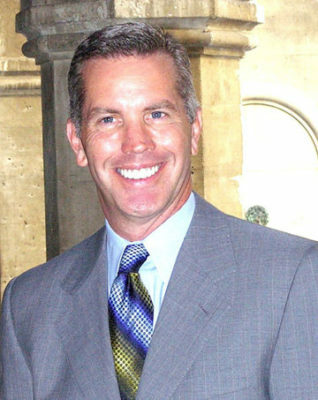 The head of school for the past 11 years, he will be taking the same position at the Center for Early Education (CEE). “In the years Brooks has served as Pilgrim’s head of school, our programs and academic offerings have soared to new heights,” said Erick Weiss, chairman of the governing board. Among the changes during Brooks’ tenure are increased faculty salaries, professional development programs, classroom renovations, new art and music programs and increased financial aid to deserving students. Patricia Kong, assistant head of school, will serve as Brooks’ replacement until the search committee finds a successor. Brooks will begin his position at CEE beginning July 2016. He is replacing Reveta Bowers, who is retiring after serving nearly 40 years at the Center. “I am delighted and excited by this news,” said Bowers of her replacement. “I have known Mark for years and cannot imagine a more perfect choice for the Center and our school community than Mark Brooks’ selection as our next Head of School,” she concluded.